Intel Desktop Board D2700MUD features a passive thermal solution that makes it suitable for a small form factor system that can fit perfectly with two display panels. 2.13 GHz dual core Intel Atom D2700 fanless processor with integrated graphics. Low-power Mini-ITX mainboard with digital output, ideal for industrial applications that do not require an extended production life. 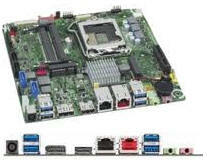 The Intel Desktop Board D2700MU features the new Intel® Graphics Media Accelerator 3650, which supports high-definition video playback via the VGA and Digital DVI graphic ports. Intel® Desktop Board D2700MUD is integrated with the new Intel® Atom™ processor D2700 and the Intel® NM10 Express Chipset to offer a desktop computer system that supports dual independent display capability with VGA & Digital DVI ports. 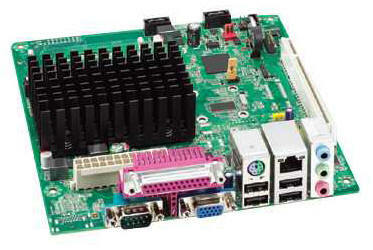 The board also features a 10/100/1000 integrated Intel® LAN and Intel® High Definition Audio (Intel® HD Audio). The D2700MUD "Mount Union" Mini-ITX mainboard features the Intel Atom D2700 processor with integrated GMA 3650 graphics built directly into the CPU. Designed for improved performance and increased energy efficiency, the D2700MUD is capable of HD media playback. The back panel offers DVI-D, VGA, a Parallel port, four USB 2.0 ports, Gb LAN, a PS2 mouse/keyboard port, and three audio jacks. 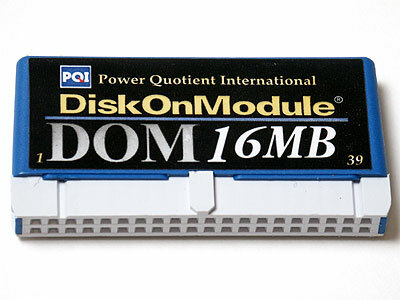 Expansion is available via PCI and PCI Express Mini Card slots. Perfect for low-power computing, the D2700MUD for nettops, web kiosks, or applications requiring dual independent displays.